Beautiful Southern flair home at its best. Gorgeous landscaping that includes flagstone rocks that outline the flower beds with landscape lighting accents. 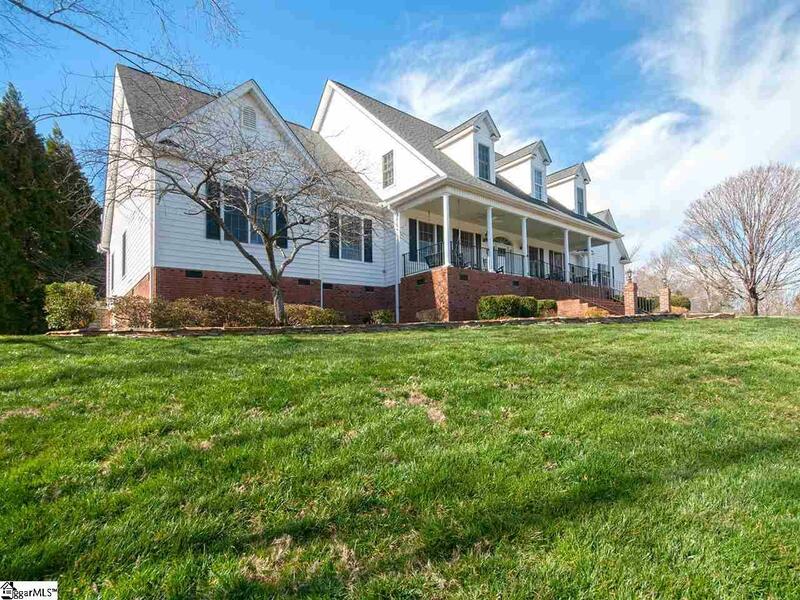 Home sits on almost an acre lot. 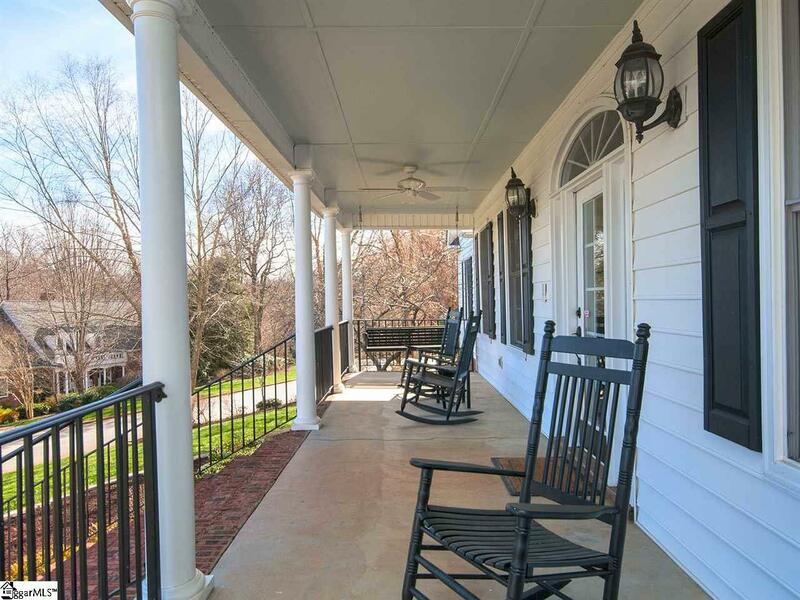 Approaching the home you are greeted by the inviting rocking chair front porch, where the current owner enjoys sitting and watching the sun rise every morning. Front porch is large enough to accommodate 2 swings and numerous rocking chairs. Porch's ceiling is painted sky blue and has wrought iron railings. Brick pillars at the bottom of the stairs are adorned with 2 lights. Entering the home you are welcomed with a wide foyer and curved stairway. The living room and dining room are both nicely proportioned. There are gleaming hardwoods galore! The Great Room has a soaring cathedral ceiling with sky lights and recess lighting and features a built in bar that has a wine cooler, glass shelving, granite counter top and rustic board back splash. 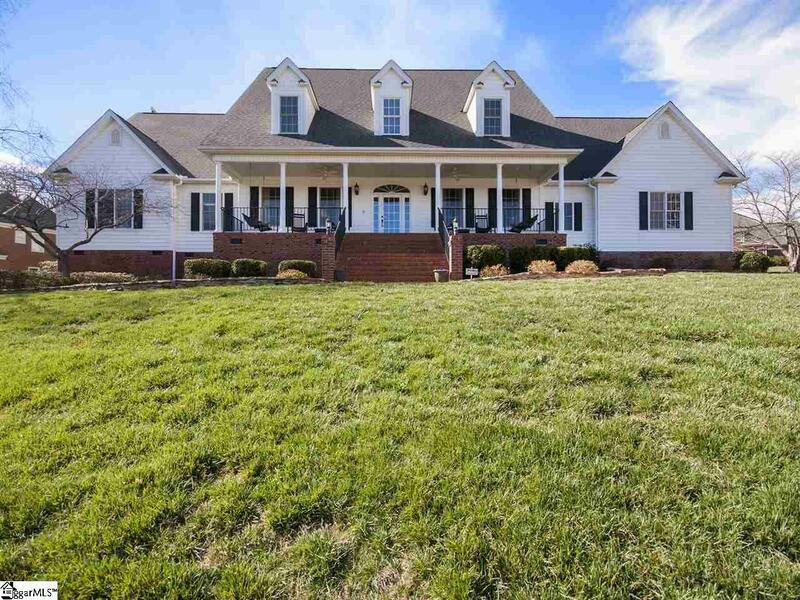 This home for sure is a entertainer's home! Home flows so well! Gourmet kitchen, a cook's kitchen. Double convection ovens, 6 burner gas Jenn Air cook top with a pot filler, pull out shelving, built in refrigerator, gorgeous cabinets, granite counter tops and tile back splash, eat in island with cabinets and book shelves. Owner had electrical outlets installed in the kitchen island for small appliances and the master bathroom for the owner's hair appliances. This home boasts of an enormous amount of "smart" storage. Laundry room is every woman's dream! Double folding areas, built in sink, hanging space, cabinets and sliding drawers. Large master suite is incredible, built in bookshelves, and a lot of natural sunlight from the abundance of windows located in the master bedroom. Master closet is loaded with tons of shelving and hanging space, custom cabinetry, complete with a chest and mounted mirror that remains. Master bath has beautiful cherry cabinet vanities, Travertine tile floor and large walk in tiled shower complete with 2 shower heads, one of those being a rain fall shower head. Study located right outside of the master suite has glass French doors and built in shelving. Upstairs there are an additional 3 great size bedrooms. One of those has it's own private bathroom. There is also another full bath upstairs. Huge bonus boom over the 3 car garage. Off of the bonus room is a craft room that the current owner uses as a studio. The over sized 3 car garage also has a workshop, again with tons of storage and shelving. Outdoor living is superb in this beauty.....Screened in porch with cathedral ceiling that is painted sky blue. Over sized deck with wrought iron railing. The paver patio is huge. Owners installed a great bar area that has a pergola, 2 ceiling fans, party lights, pergola has a sunbrella top, built in sink, grill and refrigerator. There is also a cozy fire pit to enjoy those evenings in the backyard. The backyard is especially private! 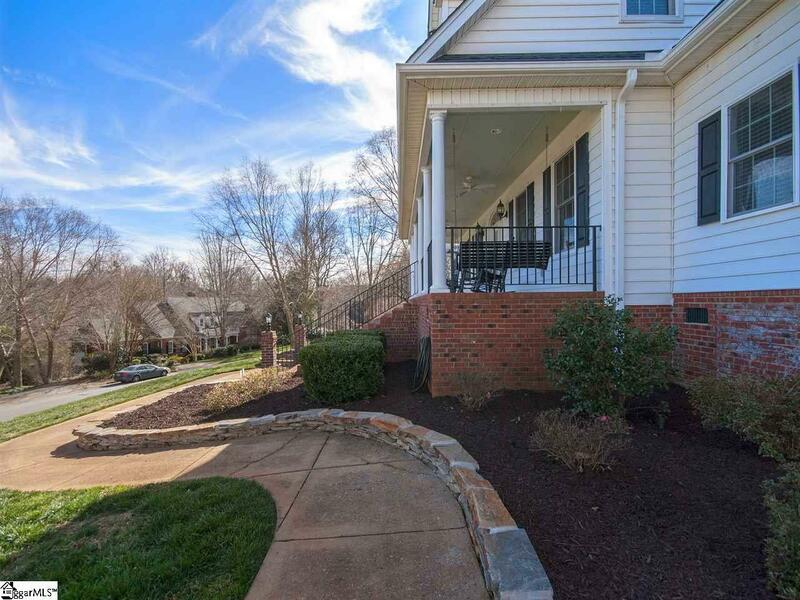 Listing provided courtesy of Charlotte Sarvis of That Realty Group.